Jackie Brown is a former elite player in the WNBL who has made a successful transition to coaching. 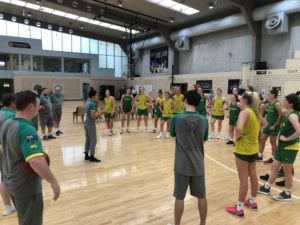 Wth the support of Basketball Queensland, Jackie attended the recent Australian Development Camp at the Basketball Australia Centre of Excellence and here are some of her thoughts from the camp. Attending the Australian Development Camp for the first time was a highlight in my coaching career. 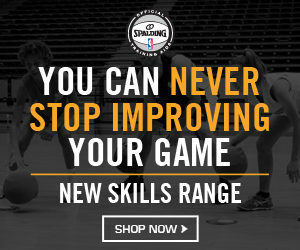 Working with such talented athletes, learning from the best of the best in Australian basketball in such a professional environment has increased my hunger and desire for learning. Such an experience has opened my eyes to the commitment, dedication and professionalism that is required from both coaches and player striving for that opportunity to wear the Green and Gold. I left the camp with one thought in mind, “I am going to do what it takes to be better tomorrow than I was today”. On returning from the camp, I am about to embark on a new journey as Head Coach of the Under 18 Women’s Queensland South State team. 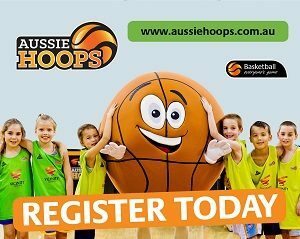 I am pleased that Basketball Queensland is on the same path and uses similar terminology and style of play which will enable our players to have the best opportunities to be identified on a national stage. I know now that it I want to share with fellow coaches, terminology, style of play, training habits, and that defence wins games (Be a defensive team first and foremost). A strong theme that resonated with me and will strongly impact the way I coach is the notion that “Less is more”. I learnt and was guilty myself of coaching too much. We do not need to be that dictator, but rather empower and inspire confidence in the athletes to explore and drive learning. Interact, asks questions, listen to the athletes and let them be problem solvers rather than always providing the answers. This, in my mind helps them become better decision makers and creates a more efficient and open learning environment. I am excited for the challenge and watching the athletes feel a sense of empowerment. After all, as coaches we want to extract change. The camp proved to me that by knowing and using the athlete’s names, building a relationship, asking the right questions and creating such an open learning environment you can create change. I am so grateful for the opportunity. Dom Linossier is the gold medal winning head coach of the Victoria Metropolitan Under 16 Boys and coaches at the Knox Basketball Association. A career educator, Dom shares some thoughts on practice and building key moments into every session. I love the practice gym at 6am on a winter’s morning. It could be the single most exhilarating place on Earth. Coach, a devoted athlete, a hoop and a ball. Gives me goosebumps just thinking about it. I love the practice gym at all times, but at that time, there’s something special in the energy in the air. Most coaches would agree that one of the ultimate moments you can experience coaching is watching a player execute a skill, or read, that you have worked at continually in practice. You know the ones, where the players can’t help but turn and smile at the bench for a half-second – they know you saw it, but just want to confirm. It might be the single-hand push pass that splits the hard show on-ball coverage, or the extra pass to improve the shot from a good shot to a great shot, or perhaps even the simplicity of great footwork on their off-hand lay-up. Sure, team success is nice, and we all want to be the ones standing atop the ladder cutting down the net, but these moments are something special. The feeling is absolutely the energy that flows from when you’re in that freezing cold gym at 6am working on spin out-throwdown-step footwork. One challenge then, is to lift the frequency of these moments – player development is evident in the quality of play, and the relationship between player and coach that builds. Please find below some points that may help when building your practice plan to ensure a greater transition of teaching from practice to game play. Build moments of teaching into your practice plan. This sounds simple enough – we all plan our training sessions (if you don’t, worth starting to do so), outlining certain aspects that we want to focus on which generally build on our short-comings from the previous game. Such a mindset is perhaps more present in the VJBL grading system in Victoria which requires teams to win from the outset in order to ‘qualify’ for an appropriate level of play. However, have you planned WHEN your teaching moments will be and WHAT they will cover? 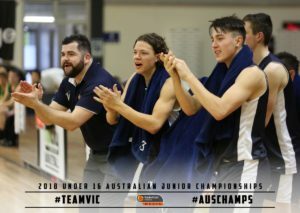 When coaching the U16 Vic Metro Men in 2018, we found that our practices, despite being well-planned, were losing momentum. The players weren’t demonstrating as high a level of transition from breakdown to game-play as we had hoped, and we felt as though the campaign wasn’t progressing as we had anticipated. We tried to make a few adjustments, however, we still weren’t getting the results we had hoped for. At one post-training debrief, we started speaking about the phases of the training session, and how they weren’t translating. We decided to build the language of these phases into our discussion with the players, so that they would know exactly what was expected. The 3 phases we referenced were: teaching, consolidation and game-play. 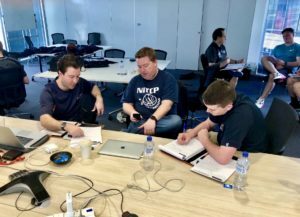 After a brief discussion outlining the expectations of this language with the players – allowing them to define what each phrase meant – we then included it in the session. 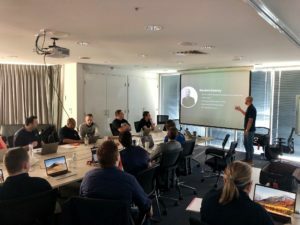 It was common place for us to be saying “We move into a teaching phase here fellas, so important that you really focus on what is NEW here” or “Consolidation phase now gents – take the new learnings from the teaching phase and implement them in different situations”. Ensuring that you keep to time is essential. With such a short allocation for explanation / teaching as a group, each coach needs to ensure that they are explicit with the instruction to athletes. Deliver the instructions in bite-size chunks to keep athletes engaged and energised. A maximum of 20% of the time allocated to the drill should be spent explaining / with the drill stopped. Diversity of approach – engage all learning preferences. Not being a huge fan of the phrase ‘learning style’ (philosophically, I disagree with the idea that we have one learning style, but we definitely have ways in which we preferto learn), each coach MUST look to diversify their approach to teaching each individual player the ways in which they prefer to learn. Importantly, this needs to be balanced with how the coach prefers to teach. There has been some debate about whether or not ‘learning styles’ have a direct impact on the educational outcomes of students. I would suggest, however, that as coaches we are all aware of the different styles our athletes have, and what works best for one does not always suit the others. Traditionally, the educational system has referred to the work of Neil Fleming (1987) and his identification of the V.A.R.K model. Visual Learners– prefer to use visual means to help categorise information. Often these athletes will ask to ‘see’ the drill before starting. This is the kid that looks at you like Javale McGee when you’re explaining it, but is Anthony Davis once they watch it once! Auditory Learners – prefer to listen to explanations, process and question information through discussion. Often, these are the athletes who question before starting. These are the Sue Bird’s of the world! Reading / Writing Learners– want information displayed as words. Often highly reflective; these are the athletes that will not question but will allow others to go first to pick-up the points-of-emphasis. 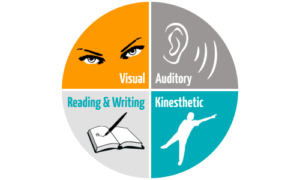 Kinesthetic Learners – these are those who prefer to ‘do’. They are the athletes that need to be involved in order to best feel as though the messages make sense. These are the athletes falling asleep during instructions, that are LeBron during games! Diagrams of drills shared with athletes pre-session. It is important to note that catering for ONLY one learning preference WILL hinder practice. Catering for multiple will NOT disadvantage one over the other. Feedback – consistent, succinct, specific. Make sure that athletes receive feedback consistently,that the feedback is succinct (one or two bullet points to address) and specific(target the Points of Emphasis of the drill). If the rep is excellent, let the athlete know in the same manner. Have a common language – be explicit with your athletes about what phase you’re in. Plan your instruction time – keep it brief. Diversify your teaching approach to address learning preferences. Ensure that your feedback is consistent, succinct and specific. Good luck! I’d love to hear your feedback – looking forward to connecting and growing our coaching practice together. I can be reached via email at domlinossier@gmail.comor via Twitter @DLinoss. 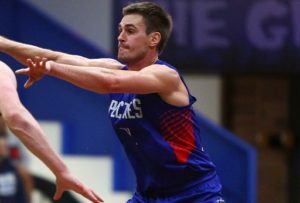 Shane McDonald is one of the most respected players to have played in the SEABL competition and has also had stints in the National Basketball League. 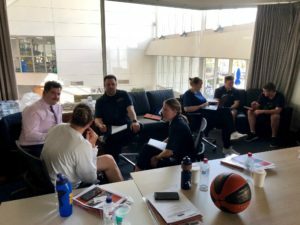 The talented Nunawading Spectres leader & point guard is making the transition to coaching and recently completed the Basketball Australia Performance Coach course in Melbourne. A teacher by profession, Shane talks here about adopting a holistic approach to coaching young players. A coach will often refer to the ‘many hats’ they wear in order to have a positive influence on the individual and team of athletes within a sporting environment. When considering the all-around development of an athlete, coaches must be prepared to teach much more than the tactical skills, such as offensive and defensive schemes involved with playing the game of basketball. Sport offers an ideal breeding ground to instil habits and behaviours that can assist people in all areas of life. Quality coaches can influence this through the environment created and the values they role model as a leader. Being aware of the commitments athletes have as students, their family backgrounds and networks, coaching the person and not just the athlete; it allows us as coaches to connect and positively impact the lives of many along the journey. The environment we create as coaches and the standards we set directly influences the behaviours and habits of our athletes. Each coach has the ability to put their own values in place, but should do so with authenticity and with the overall development of the athlete at the forefront of mind. If you consider behaviours common with high performing people, traits such as punctuality, humility, determination, and honesty are all common and can be qualities forged and imbedded within a positive sporting environment. The behavioural traits adopted by the athlete can then be applied to other areas in their lives to create widespread impact and influence various avenues in all their future endeavours. Being part of a team and learning to work with others to achieve common outcomes is an added life skill athletes acquire through their participation in a quality sporting environment. Our ability as coaches to assist the athletes with fitting individual pieces together to form a team whilst educating individuals on the importance of playing a role, sacrificing, and supporting peers through positive and difficult circumstances, all contribute to the whole development of an athlete. The social aspect of team sport also requires people to integrate and work alongside others of varying personalities, values and backgrounds, an aspect all coaches should manage and encourage to enhance the overall sporting experience. When considering junior development, it is imperative coaches understand the demands their athletes also have as students. This can be at a primary, secondary or tertiary level and the demands will be different for each athlete. The academic year will have periods of increased load where athletes will feel pressure and experience high levels of stress, along with increased cognitive and time demands that can have influence on their abilities to perform or participate in normal scheduled sessions. Being aware of particular academic demands such as key assessment tasks and exam periods, and offering some flexibility with certain training schedules or loads, offering advice and guidance around time management and quality organisational practices, or simply demonstrating empathy in these times, goes a long way with assisting athletes through busy academic periods. This awareness will also assist with strengthen the coach-athlete relationship and provide all coaches’ greater insight into the workings of their players that can intern reinforce the coach’s ability to positively impact their basketball development. A coach also needs to consider and negotiate the order of priority for outside commitments all athletes will have in their lives. Generally it is accepted that family and academics are prioritised over sporting endeavours but a coach needs to be clear with their athletes and outline these expectations. A coach must understand their athlete’s cultural backgrounds or religious beliefs and be conscious of how this may influence certain behaviours or commitments throughout the year during key developmental periods. Assisting athletes with creating weekly schedules and creating positive time management habits is an important aspect of individual development to ensure all areas of life are covered and a healthy balance is achieved. Developing a process of communication around practice and competition commitments for athletes and the expected method for informing a coach of an absence needs to be considered and implemented within the team environment. Being considerate of these elements in coaching will assist athletes with acquiring some of the necessary life skills and responsibilities that young people need to take ownership of and develop to successfully navigate life as an adult. As coaches we are able to impact a range of areas in young people’s lives and should do so with an eye on the overall growth of the individual. Athletically there is much more involved in coaching than being effective at teaching young people how to run up and down the court putting the ball in the basket. A coach has the ability to educate athletes on the connection between strength and conditioning and how this impacts athletic performance and injury prevention, importance of sleep and recovery, nutrition, performance analysis and sport psychology. These are all central aspects of becoming a high performing athlete but can often be brushed over or neglected by many coaches at varying levels. You don’t require a PhD or extensive background knowledge in each subject area, but all parts do need to be considered for ultimate impact and to effectively develop the athlete holistically. If these aspects can be integrated into the overall sporting experience it will provide a greater foundation and prepare each athlete for future high performance environments, and also give some insight into other pathways associated with a career in sport. The job of the coach is vast, at times an overwhelming and daunting task, but also as a career, voluntary role or pastime, can be extremely rewarding. When considering the positive impact we are able to have on the lives of others within sport and in their development as individuals, it’s a particularly influential and privileged title to hold. By embodying great passion for the sport and demonstrating care for the holistic development of our athletes, we as coaches will continue to take great pride in our craft, seek new knowledge and growth that will ultimately serve to holistically benefit those we are lucky enough to call our athletes. Nic Martin is currently the Basketball Development Officer (South) for Basketball Tasmania. 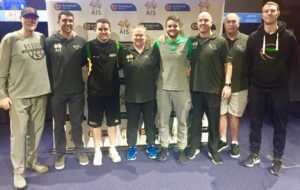 Here are some reflections from Nic, who recently completed the Basketball Australia Performance Coach course in Melbourne. This is my favourite quote. It is my motto, my catchphrase and gives direction on how I want to live my life. At one point or another every team I have coached has heard me say this quote or refer to the message it gets across; you need to prepare (beforehand), work hard (during) and reflect (afterwards). Your preparation will give you confidence when you get to the big game or tournament you have been preparing for. For a team, your preparation is everything you do beforehand. It is the combination of all of your film sessions, trainings, practice games and team meetings. Do you have an overall plan? What do you want your team to achieve? Do you know where you want them to be at certain stages of the season? How do you monitor your progress? Can you summarise their key O/D sets and the tendencies of their key players? How do you share this information with your players? As a general rule, coaches should try and get as much intel (stats, video, background) as possible and decipher what the players really need to know… Keep it simple! What’s the purpose of each your team meeting? How do these meetings link with your planning and scouting? Regardless of how smart, athletic or talented you are, there is no excuse for being outworked. This is something you can control. As a coach, you should always be looking to do more than what’s expected. Work ethic can become a competitive edge and will allow you to “hang” with smarter and more experienced coaches. Be the first to work and the last to leave. Go the extra mile with your preparation and reflection – can you do more video, scouting and statistics than the next coach? “Insanity is doing the exact same thing and expecting different results” – Albert Einstein. Very rarely do these 3 phases fall in this exact order, often, they blend together. How you manage the above at the same time is all in the “art of coaching” – there’s no exact answer on how to do this or what your priorities need to be. Get out there and experiment, try new things and find out what works best for you. Good luck.